Foreign exchange, like foreign trade, is a part of economic science. It deals with the means and methods by which rights to wealth in one country’s currency are converted into those of another country. By the same taken, it covers the methods used for conversion, the forms in which such conversions take place and the causes which render this conversion necessary. Foreign exchange means exchange foreign currency between two countries, If we consider” Foreign exchange” as a subject ,then it means all kind of transactions related to foreign currency. In other words foreign exchange deals with foreign financial transactions. Under the import policy of Bangladesh the Importer has get the valid Import Registration Certificate (IRC) from the Chief Controller of Import and Export (CCI&E). Letter of credit (L/C) means it’s an undertaking by issuing bank on behalf of the buyer/applicant/import to pay certain amount at the seller/ beneficiary/exporter for performing certain activities (transaction / purchase) under some agreed condition. This type of credit can be cancelled or amended at any time by the issuing bank without prior notice to the seller .It is not in use. This type of credit can’t be cancelled or amended by the issuing bank without agreement of parties concerned thereto. All the credit is issued in our country are of recoverable nature. When a third bank provides guarantee to the beneficiary to make payment, if issuing bank fail to make payment, the L/C is called confirmed L/C . In case of a confirmed L/C a third bank adds their confirmation to the beneficiary, to make payment, in addition to that of issuing bank .Confirmed L/C gives the beneficiary a double assurance of payment. Under the export policy of Bangladesh ,the exporter has to get the valid Export Registration Certificate (ERC) from chief controller of export & import (CCI&E). The ERC is required to renew every year. The ERC number is to be incorporated on export form & other paper connected with exports. After getting the contract for sales ,exporter should ask the buyer for L/C clearly starting terms & conditions of export & payment. After knowing that the L/C has opened in his favor, the next step for the exporter is to set about the task of procuring or manufacturing the contracted merchandise. If the exporter has to procure the raw materials from another supplier (local or abroad) he has to open Back – to – Back L/C. Back – to – Back L/C is one type of L/C , which is opened against lien on a valid export L/C . It is opened for inland & aboard as well .Bank will supply the following papers / documents for opening a Back – to – Back L/C. The above papers must be completed, filled & singed by the party thereto. The party will submit the entire filled document along with application in printed form of the designated bank which is also an agreement between applicant & the bank. An exporter is who exports the goods to another customer whether in domestic country or in aboard . In exporting the stipulated goods he may require financing. So export financing may be required at two stages. Pre shipment credit is the credit ,which is given to finance the export activities of an exporter for the actual shipment of goods. 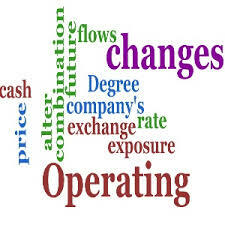 The purpose of each credit is to meet the working capital shipment of goods .The purpose of each credit is to meet the working capital needs from the procuring of raw materials to the transportation of goods for the export the foreign country .Before sanctioning of that credit the bank takes into consideration the credit worthiness, export performance of the exporter’s together worthiness all other information required for sanctioning the credit in accordance with the existing rules & regulations. A Foreign Demand Draft is a negotiable instrument issued by a bank drawn on other bank with another country the instruction to pay a certain amount to the beneficiary on demand. Remittance through demand draft may be inward or outward. Inward remittance refers to the extent where the bank makes payment to the client against foreign demand draft .Bank will make payment to the client by verifying the test number and signature of the authorized officer. IMP From: All outward remittance on account of Imports is done by from IMP. TM From: For all other outward remittance from TM is used.